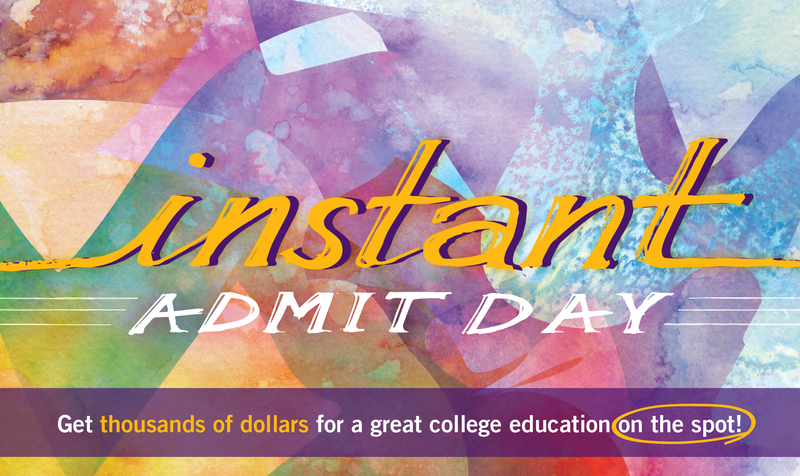 Why else apply on Instant Admit Day? What are you planning to study in college? High school seniors: Apply and get admitted on March 30 to receive up to a $16,000 scholarship right away. Come anytime between 10 a.m. – 2 p.m.
No RSVP required. Admissions and financial aid counselors will be available on site to answer questions. Note: Admission requirements for enrollment to Goshen College are a minimum of a 2.60 GPA and either an SAT test score of 970 or an ACT test score of 18. If you have any questions, please contact us! It’s easy: Just bring along your transcript and ACT or SAT score. Get instantly admitted: You’ll get an admission decision on the spot. No application fee: We’ll waive your $25 application fee. Win a $500 GC Bookstore voucher: Submit your application materials on campus and be entered to win one of three $500 vouchers. Plus, receive your GC T-shirt! Email your unofficial transcript to admissions@goshen.edu and complete your application on March 30 by midnight to receive your decision about admittance and academic scholarship information within 24 hours. Learn more about our majors and minors! *Only first-time, first-year college students are eligible.